Cadmus – Greek hero, son of Agenor and Telephassa, brother of Europa, husband of Harmonia, father of Polydorus and Semele. Founder and king of Thebes (Cadmea). Caeneus – Mortal hero, daughter of Elatus and Hippeia, lover of Poseidon, mother of Coronus, Phocus and Priasus. Transformed into a man, and a Lapith who fought during the Centauromachy. Calais - Greek hero, son of Boreas and Oreithyia, one of the Boreads, brother to Zetes. Named as an Argonaut and pursuer of the Harpies. Calchas – Mortal seer, son of Thestor, brother of Theoclymenus, Theonoe and Leucippe. Member of the Achaean force at Troy, and present within the Wooden Horse. Calliope – Younger Muse, muse of epic poetry, daughter of Zeus and Mnemosyne. Callirhoe – Oceanid nymph, daughter of Oceanus and Tethys, husband of Chrysaor, mother of Geryon. Nymph of Erytheia. Calypso – Immortal nymph, daughter of Atlas, lover of Odysseus, mother of Nausithous and Nausinous. Resident of Ogygia. ​Cassandra – Mortal seer and princess, daughter of King Priam and Queen Hecabe, brother to Hector, Helenus et al, concubine of Agamemnon. Cassiopeia (i) – Mortal queen, wife of Cepheus, mother of Andromeda. Queen of Aethiopia. Cassiopeia (ii) – Mortal queen, wife of Phoenix. Queen of Phoenicia. Castor - Mortal hero, son of Tyndareus and Leda, brother of Pollux, Helen and Clytemnestra. Hero present on the Argo. Cepheus (i) – Mortal king, son of Belus, husband of Cassiopeia, father of Andromeda. King of Aethipia. Cepheus (ii) – Greek hero, son of Aleus and Neara, brother of Amphidamas, father of many. Argonaut, Calydonian Hunter, comrade of Heracles and King of Tegea. Ceto - Early sea goddess, daughter of Gaia and Pontus, husband of Phorycs, mother of Echidna, the Gorgons and Graeae. Greek goddess of Sea Dangers. Charis – Charites goddess, also known as Aglaia, daughter of Zeus and Eurynome, wife of Hephaestus. Greek goddess of Splendour. Charites – Group of goddesses, three daughters of Zeus and Eurynome, named Aglaia, Euphrosyne and Thalia. Greek goddesses of Joy and Festivity. Charon - Minor deity, son of Nyx and Erebus. Ferryman of the Underworld across the Acheron and/or Styx. Chiron - Centaur, son of Cronus and Philyra. Eldest and wisest centaur, tutor of heroes. Chronos – Protogenoi (occasionally named), son of Hydros and Gaia. Greek god of Time. ​Chrysaor – Giant, son of Poseidon and Medusa, brother of Pegasus, husband of Calirrhoe, father of Geryon. Owner of a golden sword. Chrysothemis - Hesperides nymph (occasionally named). Daughter of Nyx (occasionally Atlas). Greek goddess of the Evening and the Golden Light of Sunset, name means Golden Custom. Cilician Thebe - City of Asia Minor, founded by Heracles, and ruled at one time by Eetion. 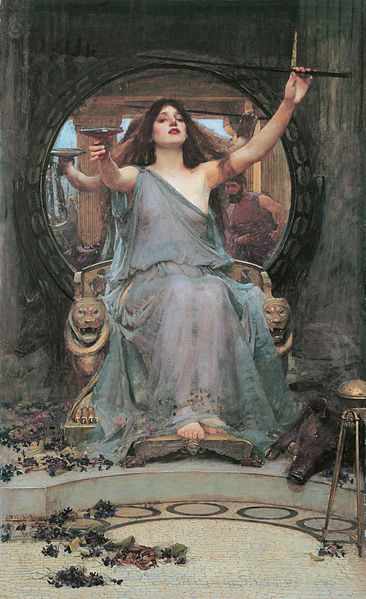 Circe – Daughter of Helios and Perse. Lover of Odysseus. Greek goddess of Sorcery. Cithaeron – An Ourea and Protogenoi, son of Gaia. A Greek god of the mountain of same name. ​Clio – Younger Muse, muse of history, daughter of Zeus and Mnemosyne. Clymene (i) – Oceanid daughter of Oceanus and Tethys, wife of Iapetus, mother to Atlas, Menoetius, Prometheus and Epimetheus. Greek goddess of Fame. Clymene (ii) – Oceanid daughter of Oceanus and Tethys, lover of Helios, and mother to Phaethon and the Heliades. 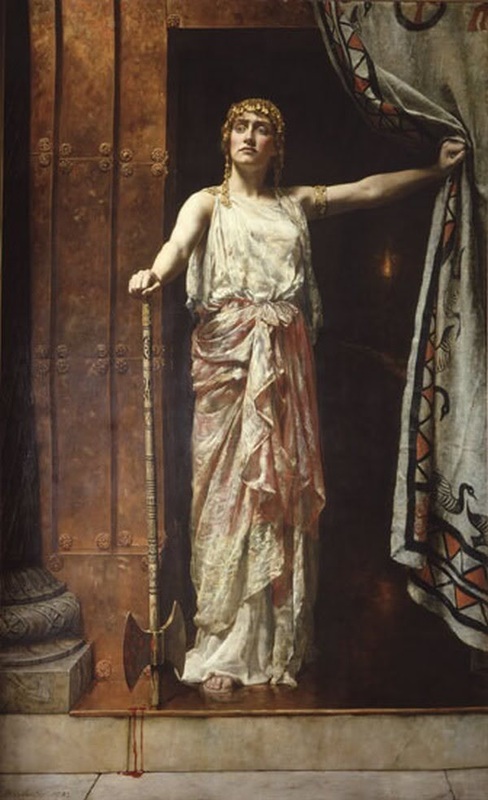 Clytemnestra - Mortal queen, daughter of Tyndareus and Leda, sister of Helen, wife of Agamemnon, and mother of Orestes. Coeus – Titan god, son of Ouranus and Gaia, and husband of Phoebe, father of Leto and Asteria. Greek god of Intellect. Cottus - Hecatonchire, gigantic son of Ouranos and Gaia, brother of Briareus and Gyges. Guardian of the gates of Tartarus. Cratus – Son of Pallas and Styx. Greek god of Strength. Creusa - Mortal princess, daughter of Priam and Hecabe, wife of Aeneas, mother of Acanius. Crius – Titan god, son of Ouranus and Gaia, and husband of Eurybia, father of Astraeus, Pallas and Perses. Greek god of the constellations. ​Cronus - Titan god, son of Ouranus and Gaia, husband of Rhea, and father of the first Olympians. Second supreme ruler of the cosmos before being overthrown by Zeus. Cyclops – Monsters, giants with single eye in forehead. Two distinct generations, sons of Ouranos and Gaia, or of Poseidon. Cymopoleia - Minor Sea Goddess, daughter of Poseidon and Ampitrite, wife of Briareus. Greek goddess of Storm Waves. Cyrene - Mortal princess, daughter of Hypseus, lover of Apollo, mother of Aristaeus.